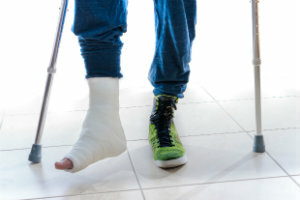 Surgery Frequent Questions | Foot & Ankle Associates of Florida How long does it take to recover from flatfoot surgery? What should I do after foot surgery? Post-operative care is an important part of any surgical procedure. Too often, issues arise when patients do not follow the instructions provided. Understanding what to expect beforehand, though, puts you in a better position to minimize post-operative complications and achieve positive surgical results. There are a variety of surgical procedures that our doctors perform and patients will be given specific post-op precautions depending on the type of surgery. With that in mind, some general guidelines include resting, keeping bandages clean and dry, and being sure to keep follow-up appointments. In various cases, you will be prescribed medication, and it is important to follow our instructions regarding dosage and frequency. Icing is often beneficial to reduce swelling and manage post-operative pain. In addition to resting and icing, you may be instructed to keep your foot elevated. Daily activities may need to be put on hold for a certain period of time, and you may be required to take time off from work depending on your type of job. We will provide more detailed information both before and after your surgical procedure. If you have any questions regarding post-op care, give Foot & Ankle Associates of Florida a call at 407-339-7759 or 352-589-9550 (if calling from Lake County) and we will be glad to provide assistance. Will I have to miss work if I have foot surgery? In all likelihood, you will have to take some time off from work for foot surgery. The amount of time depends on your work schedule, when your surgery is performed, the type of procedure being performed, and the nature of your job. Surgeries are typically done during normal office hours (which vary at each of our locations and where your surgery is done). If you have an early morning job, such as a “first shift” or an office job, you will likely need to take some time off from work for the surgery itself. There is also a chance you may need to schedule additional time off from work for your recovery. We may recommend rest, ice, and elevating your leg for a period of time after the procedure. Additionally, you will probably need to avoid strenuous activity, so those whose jobs require manual labor should plan accordingly. If we are performing a surgical procedure to treat a foot or ankle issue for you, we will provide a thorough consultation with you so you understand exactly what is required for your specific case. Call Foot & Ankle Associates of Florida by dialing 407-339-7759 or 352-589-9550 (if calling from Lake County) and we will be glad to answer your questions or schedule an appointment for you at any of our five offices – Kissimmee, Lake Mary, Tavares, Altamonte Springs, and Orlando, FL. How will my activity be affected after foot surgery? Will my activity level be affected after foot surgery? The answer to this question depends on what type of foot surgery we perform. 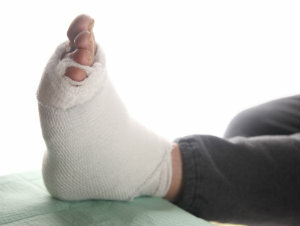 In some cases, activity after foot surgery can be resumed after healing without any modifications. Conditions where this might be the case include fractured bones, turf toe, and midfoot injuries. In other cases, recovery is even quicker and activities may be resumed shortly after surgery. Hammertoes, bunions, and other common foot deformities could potentially have a longer healing time. But the good news is, once you have completed your recovery, you should have a greatly reduced level of pain and discomfort from what you experienced before the procedure. It is also possible that your activity levels will be restricted. This can be the case when we perform joint fusion to treat a severe case of arthritis in the foot and other types of major reconstructive procedures. Your ability to perform activities after foot surgery depends on several variables, but we will discuss your surgery with you and answer your questions prior to surgery so you will know what to expect. Contact Foot & Ankle Associates of Florida to discover how we can help you. Give us a call at 407-339-7759 or 352-589-9550 (if calling from Lake County) or request an appointment online at any of our five Florida offices: Orlando, Lake Mary, Kissimmee, Altamonte Springs, and Tavares. Feet are complex structures, which means there is not a one size fits all approach to improving a problem. There are some foot and ankle complaints that require a surgical procedure to correct them. Since each patient is different, it is difficult to give an exact timeframe for recovery after a foot/ankle surgery. But we can provide estimates for various surgical procedures that we perform. Recovery from a bunion or hammertoe surgery may take 2 to 12 weeks before you are able to perform regular daily activities, but a full recovery may be 3 to 6 months before you can resume your full exercise routine that involves impact activities. Midfoot surgical procedures can take 12 weeks, with full recovery requiring 5 to 6 months. Surgery to repair a bone fracture can take from several weeks to several months for recovery, depending on the nature and severity of the injury and the surgery that was performed. These are simply general guidelines. The podiatric physicians at Foot & Ankle Associates of Florida will discuss your entire surgical procedure in advance, including expectations for post-operative recovery, so you know what to expect. For additional information, call our professionals at Foot & Ankle Associates of Florida by dialing 407-339-7759 or 352-589-9550 (if you live in Lake County). You can also request an appointment by filling out our easy online appointment form today.